I got up really late, about 3:35 in the afternoon. 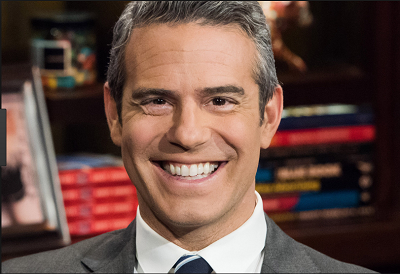 Well, first I got up around 11 because I was supposed to be on a conference call interview with Andy Cohen. However, they hadn't sent me the information to dial in yet. I waited a while, but it never came, so I went back to sleep (I was very tired, so I was glad to do it). Thankfully, they sent me the transcript of the call later on, so I could put it up, anyway. I've been trying to make sure to keep up on the laundry and dishes better. At least during the summer! Kind of hard during the school year. I still need to do more singing, too, though. Usually we file our taxes with the accounting firm that puts our taxes together for us. This year, they said there was some problem with the E-File software, so we had to mail it in. I went to mail it at the university post office, but they didn't have return receipt. It's not a real post office, I guess. We still haven't gotten our tax return, but it's a bit early yet to be concerned. We used the tool on the IRS site to check it, but it wasn't yet showing up. They said it can take 6 weeks from the time they get it, though. Also, the accountants said that the IRS gets so many this time of year that it can take a while. We'll see, I guess. I suppose if there's a problem, then they'll let us know, and we'll have to send the forms again. This is why E-filing is better. The post office is just not that reliable any more. It was not a very exciting day... poor David had to drive to Little Rock and back today (over 3 hours each way), and then he stayed late in the office. I cooked up some veggies for a nice stir-fry. Even though I slept so late, I was really tired and went to bed around midnight. I woke up around 7am. I was very groggy. I thought I had run out of diabetes test strips, but I found 2 more containers of them! Yay! I had breakfast (Atkins sausage and egg scramble) and then took a shower later on. I tested my blood sugar and it was finally down lower...a lot closer to where it needs to be. So I'm on the right track! Double Yay!!! I had leftover stir-fry for lunch and some sugar free Jello-0. I ran out of the can whipped cream, but I had a lot of heavy cream, so I made a big batch of whipped cream. I also sweeten it with Equal. Being diabetic, I'm on a low carb diet, so I can eat all of the whipped cream I want. I had a nap for a few hours. I probably should have gone on the treadmill instead! 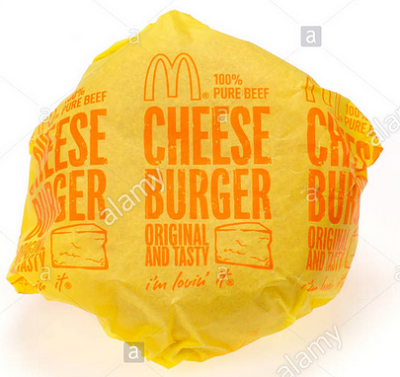 David brought me some McDonald's cheeseburgers for dinner. I had them plain, no bun. Between the salt and pepper and the cheese, and being such thin patties, no sauce is needed. We watched another show. We were going to watch the Padres, but they were already losing 7-2, so he didn't want to watch. I can understand that, I guess. But later he regretted that decision because they ended up winning! I cut way down on caffeine starting last week, so that may be part of the reason I've been so tired. I drink mostly water and only have the occasional Diet Pepsi when we got out. 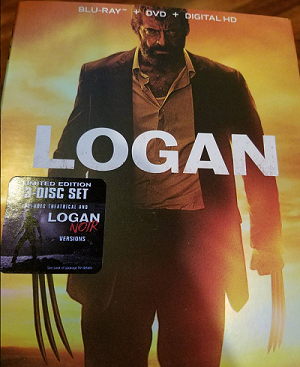 I got the DVD "Logan" today and watched it tonight. I guess I'm glad I saw it, but it was pretty violent and depressing. I don't know...I kind of wish I hadn't watched it. Some parts were good, but... this is not what I look for in a superhero movie. I hope they don't make any others like this. It was fine as a "movie" but not as a superhero movie. Well, except the violence, which is just too much for ANY movie. I stayed up and didn't get to sleep until about 7 am the next morning! I got a lot done, though. I did get pretty sick. 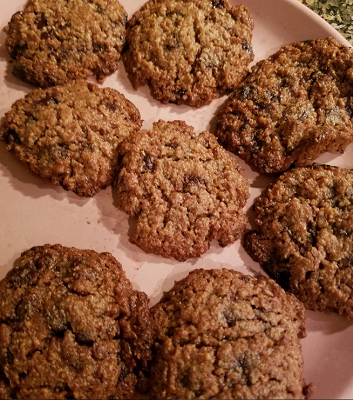 I might have had too many of these low carb cookies I made. They're from a mix, and they have something called xylitol. Apparently it can make you sick depending on whether you're sensitive to it or not. I didn't do much, aside from some work and watching TV. I went to bed about 1:30am. I have a dentist's appointment at 11 to get a mouth guard because I grind my teeth too much. It went pretty quickly, and they're always nice there. Unfortunately, it won't be ready until a week from now, and we're going to be out of town. 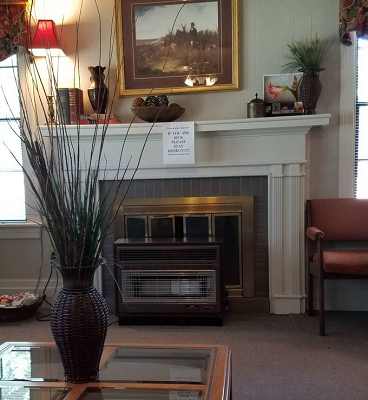 We stopped at this other doctor's office to pick up the paperwork so that I can be a new patient there. I hope they're better than the previous ones! I went back to sleep in the afternoon for about 4 hours. The checklists I made for my work have been pretty helpful....it helps me make sure I get everything done that I need to do each day. Otherwise, I'm forgetful. I usually have typed To-Do lists on the laptop, but I tend to ignore them. We're going to dinner at Antigua's, one of the Mexican restaurants we like. I'm kind of tired of it, but we don't have a lot of choices here. I like their brisket tacos. Since I'm eating very low carb, I only had a few tortilla chips, and one of the corn tortillas. I just ate the rest of the meat, cheese and veggies with a fork. 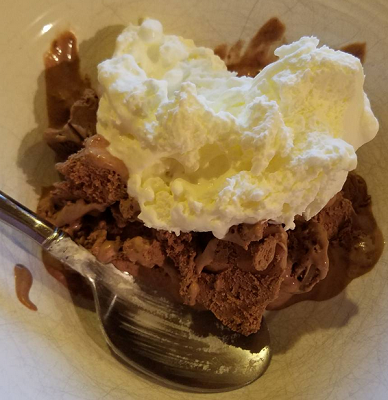 Later one, we had some of the low carb chocolate ice cream that I made. It's very rich because it has 3 egg yolks and 2 cups of cream in it! That's why it's low carb. It has no milk in it. Ice cream is usually part cream and part milk. Also, of course, it has Equal instead of sugar. It's yummy...definitely not low fat or low calorie. I spent the evening mostly watching TV shows that I need to review. I fell way behind on that last month, so I have quite a few to watch. I got tired and went to sleep about 2:30. I woke up itching again around 5:30. I was mostly dreaming about "General Hospital." I used to watch it a lot but rarely do any more. However, I did watch some of last week's episodes because of the Nurse's Ball that they have every year, where the cast sings and dances. That's always fun. I weighed myself and I'm about 176. This is good! 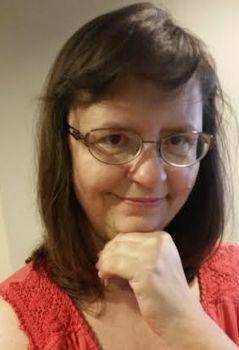 When I went to the doctor's office in April, I was about 185. Of course, I had my clothes and shoes on then, so I probably lost 5-7 pounds. I'll take it! So far it's been pretty easy dieting. I do still need to eat more salads and exercise more, but at least, I'm staying away from the sweets. This is how I lost 25 lbs. back in 2008. I just mostly eat vegetables (salads are best) and some meats, cheese, and nuts. I don't really worry too much about fat or calories, but if given the choice, I eat turkey or chicken over the fattier meats. I like these Old Wisconsin Turkey Snack Sticks because they're fairly low fat, and gluten free. Most of the sticks like that are not gluten free. These are a little spicy and so good. I usually buy a large package of them at Amazon and then just grab a couple for snacks. Anyway, I haven't been super hungry this week, so that's good. Of course my main goal is to bring down my blood sugar, first. Then I can work on losing weight more. I went back to sleep for a few hours, then woke up again. We went to the SAU Trail for a nice walk. It was great weather - windy and slightly cool. It was nice to get the exercise out of the way for the day! I slept for another few hours, but it wasn't good sleep. I kept waking up, until I finally got up for good about noon. David's bringing me McDonald's for lunch. It was an uneventful Friday. David was at work most of the day. He had a doctor's appointment (routine visit) in the afternoon. We didn't go out for dinner or anything. I mostly watched TV for my site, did laundry and dishes. I went to bed about 1:30 and slept until about 7am. We went walking again on the SAU Trail. It was a bit warmer and more humid today. David walks it twice, so I go sit in the car while he does the second half. We may not be able to do that once it gets hotter...right now it's nice just to sit and feel the breeze, and drink cold water. I have my phone, so I'm not bored. I did manage to go back to sleep after awhile and slept a long time. We went to the Italian restaurant, II Brothers. 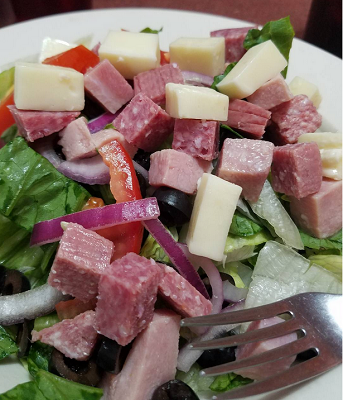 The only thing they have there that I can eat, apparently, is this one salad with meat and cheese. I had hoped to have the veal, but I was told this time that it's all pre-breaded. When I had the veal there before, I was told that it wasn't breaded! :( You see why I get sick all the time? They either misunderstand, or they lie. I hadn't brought any salad dressing with me, so I just picked some of the meat and cheese off it. I ate the rest later, at home, with dressing. I don't think we really did anything too interesting today. I spent a lot of time this weekend catching up on TV shows I need to watch to write reviews or to get them off my DVR. I really had a craving for brownies tonight, but I couldn't find a good recipe online. I don't have any gluten-free flours on hand, and I only had one egg left. I finally just made some peanut butter cookies with some added chocolate. 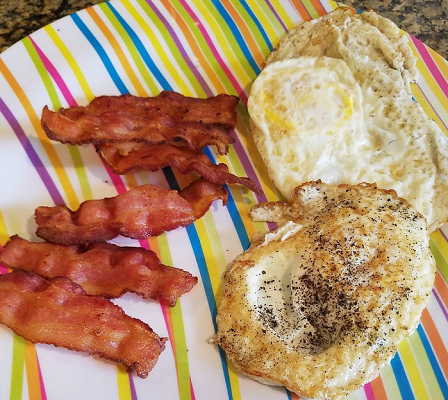 They were low carb and gluten free. A bit too salty, though. I stayed up until about 2 and then went to sleep for a few hours. It was rainy all night and day. We couldn't walk in that weather. I did a lot of work on my site. I'm still very concerned about my blood sugar because it's still running above 200. We had dinner at the Japanese restaurant, Tokyo. 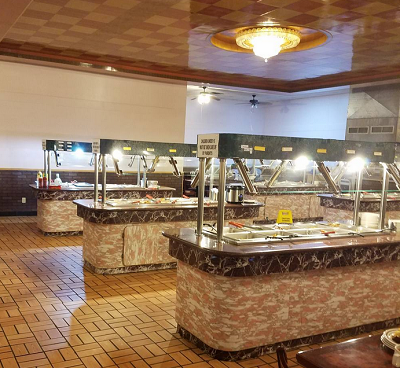 I just had a few things on their buffet that were probably not safe, but, oh well....hopefully I won't get too sick. Mostly I ate veggies and fruit, but I did have some chicken and some little chocolate dessert things. We went to Wal-Mart after to buy some new suitcases. 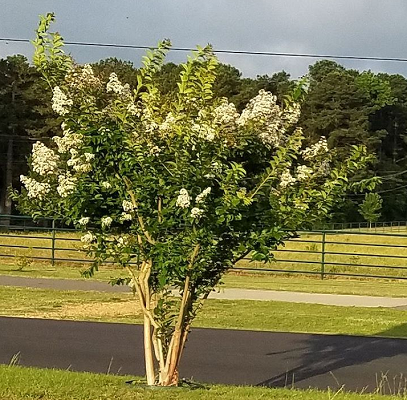 We usually just get some cheap ones and they don't last more than a few years. I wish that we had bought some really good ones, like Tumi, back when we had a lot more money. We'd probably still be using them. 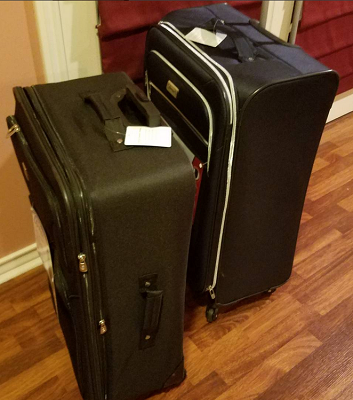 We have a Tumi travel bag that we got in 2000 and it's still great. Nothing has broken on it. The luggage is $500 and up for any decent-sized suitcases. They also come with a 5 year warranty, which is nice. 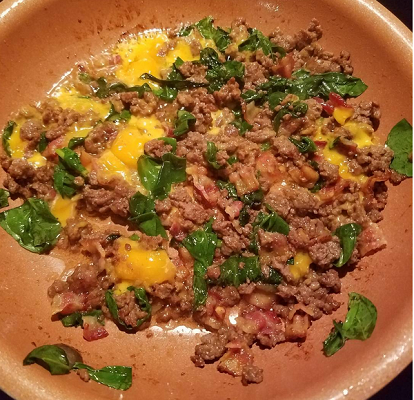 Since I didn't eat much at the restaurant, later on I made a stir-free with some hamburger, bacon, cheese, and spinach. It was really good! I stayed up until about 1:30 and slept for 5 hours.